Looking for a Super Cute Name Necklace? We Found 10 for You to Pick From! 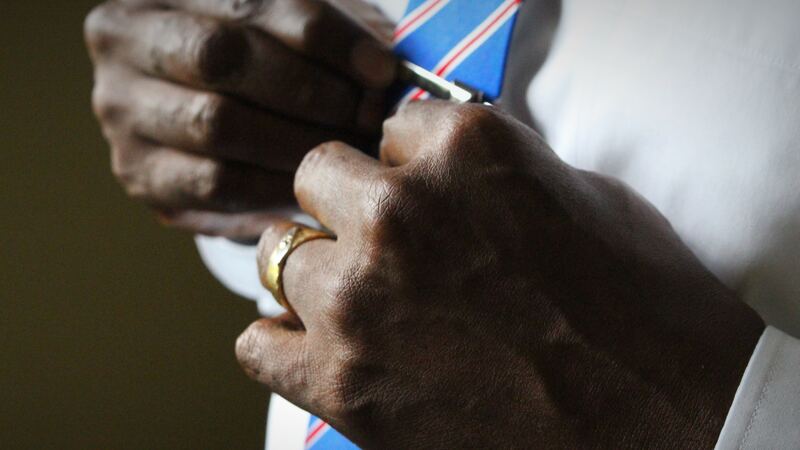 Are you the type of person that can never find your name on a necklace, or even a pencil or a keychain? Maybe you have the type of name that your teacher could never pronounce in elementary school or are you missing out on that keychain because your parents decided to spell your name different than most Megans? I am here to tell you, I have had that problem my entire life. You see, people don’t spell Brittani ending in an I. I remember standing in the gas station looking at the rows and rows of magnet names, slowly and anxiously my eyes would wander to the B section. And there it was, Brittany. Britney. But never Brittani. So there all my friends would go, grabbing their matching magnets or pencils with their own name on it, Kaitlyn, Sarah, Jessica. And I’d be left between two choices, no magnet, or settling on the one that said Summer Fun or Girl Power. As much as I love summer and do think it’s a lot of fun, and I’m all about girl power, I just wanted one magnet that said my name! Maybe you’re just laughing at me at this point, but maybe you understand the disappointment in having a differently spelled name. Did you suffer from my type of situation? If so, go treat yourself to a customized name necklace! If you never had that happen to you, maybe it hasn’t even ever crossed your mind that people have this problem, think of your friends, siblings, or cousins. I’m sure you can think of at least one person without a standard name or spelling. Can you imagine how happy that person would be to have a customized necklace that makes her feel a little less left out and a lot more loved? 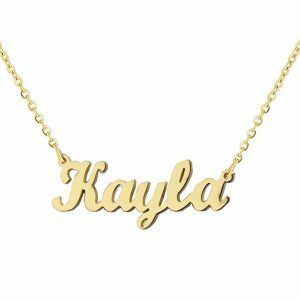 Let’s get to the good stuff and help you discover the right customized name necklace for you or your number one gal pal. We have found 10 darling necklaces for you to pick from that we think you will love. First, we have the Classic Name Necklace, which is the perfect title for it because that is exactly what it is. This is as classic as they come. This piece comes in sterling-silver, white-gold, gold-plated-silver, and rose-gold-and-sterling-silver. We love how this necklace is completely focused on the name. There are no other charms or jewels, just simply the name. This is fitting for a simple style, but also would be a great statement for a more bold personality and style. It has a box chain that comes in various lengths including 14, 16, 18, 20, or 22 inches. The name will always come with the first letter capitalized and is typed in a beautiful cursive script font. We love the way the edges of the letters are smooth and rounded, making it all flow from each letter to the next elegantly. Another thing we love about this necklace is that it is darling for a young girl who is growing into her girly personality, but also an ideal choice for a woman showing off her feminine side. You may be concerned that at a price this low, it is a little too good to be true. Overall, it is a stunning product and you will be pleased. However, you may experience a little bit of tarnish as you wear it regularly. 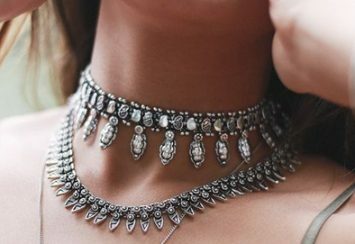 If this is to occur, we recommend just using a little bit of silver cleaner occasionally and it will bring the necklace back to looking brand new again. For those of you looking for great quality at a fair price, this might just be the one for you! Did you find yourself loving the last necklace, but wishing it was a little less expensive? 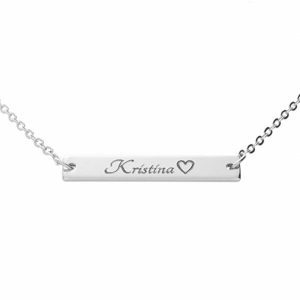 Are you looking to give out name necklaces for Christmas gifts or maybe to your bridesmaids? If so, this might be a better option for you. 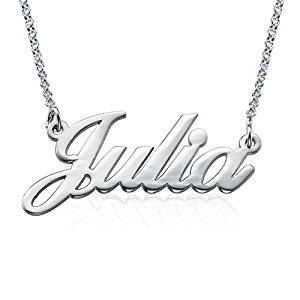 This adorable name necklace comes in stainless steel as well as gold plated. It is featured on a lovely o shaped chain and the name is completely customizable. The chain is sixteen inches long and includes a two-inch chain extender. This add-on makes it a fabulous option for you or a friend, regardless of their age. As for the name, whether it’s your name, their name, or a special name you have for each other, you can order it to fit your wants and needs! One thing that attracts us so much to this necklace compared to others like it, is that you are even able to do names in different languages and alphabets. For instance, if you or the recipient of your thoughtful gift are Arabic, don’t hesitate to order this necklace. They are able to work with you and still get your name customized exactly how you want it written! For those reasons, this is a fantastic gift idea or to purchase any time you might need customized necklaces in a more bulk type order. We were so excited to find this necklace. 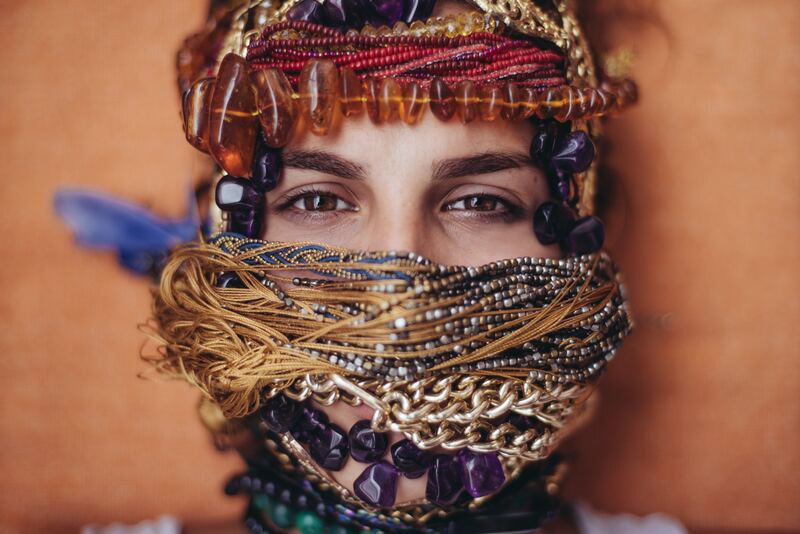 Layering necklaces is such a popular trend right now, but sometimes it’s hard to decide what pieces work together. Not only that but finding pieces that are affordable and work well together for layering can be a challenge to find as well. This necklace makes every aspect of layering simple because it is a two-in-one style necklace where it appears you found the two perfect layering necklaces and paired them together when in reality you bought one double chain necklace at one reasonable price. It’s a double win in our book! This gorgeous piece comes in sterling silver and has a few options to fit your specific style. You can purchase this necklace in silver, golden, or rose gold. 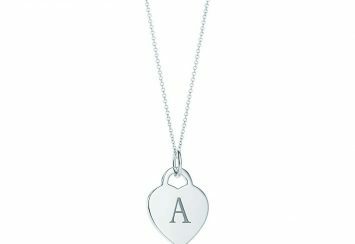 Both chains will come in the same color, the heart necklace measuring at eighteen inches and the personalized name part of the necklace measures 20 inches with a .925 inch sterling silver chain adjuster. The heart is definite on this darling necklace, but the name is customizable on the longer part of the necklace. This name is written in a beautiful and continuous cursive font with up to ten characters. Because each necklace is handmade, with an expectation nothing short of perfect, these necklaces can take up to five days to engrave and will ship to you within a couple of weeks. 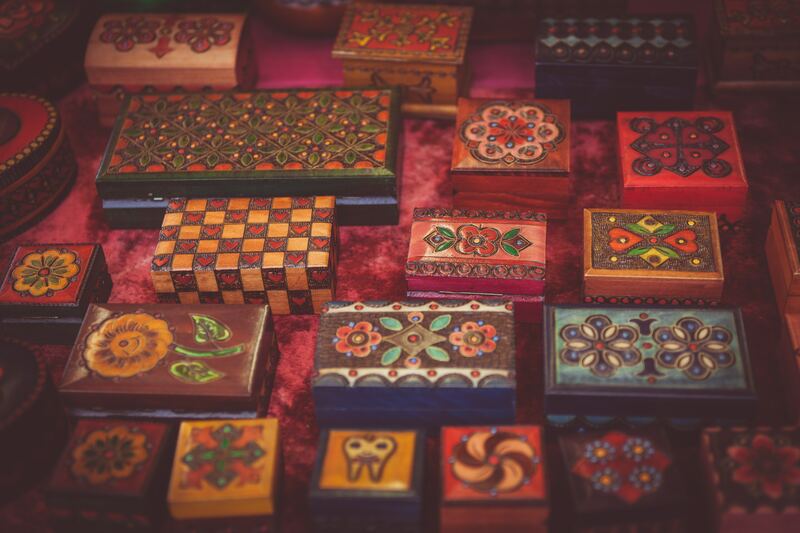 So if you are looking to give it as a gift or order for a special event, make sure to be on top of that so that you can be sure to have them in time. You will not be disappointed in thispiece, especially for the very small price you will pay for it. Are you in search of a staple, every day, must-have piece of jewelry? Do you want something that you can wear with jeans, business attire, or even a night out on the town? 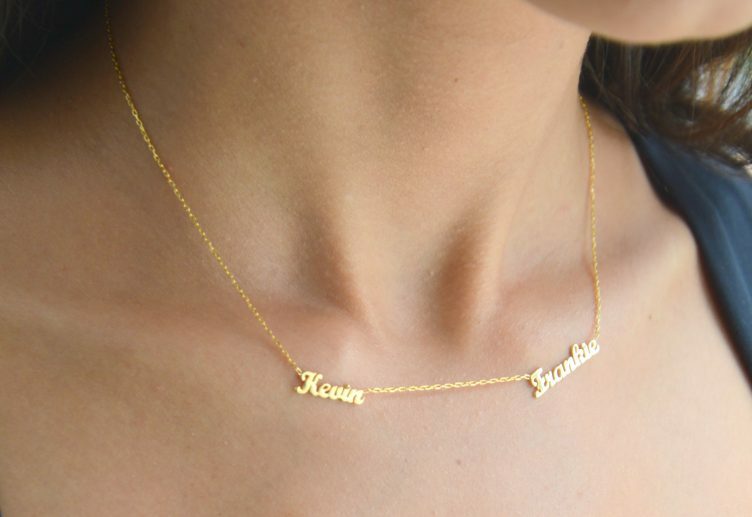 Look no further because these personalized name bar necklaces are exactly that! They will go great with literally any outfit, yes that includes your sweater, leggings, and fuzzy boots. It’s a timeless piece and becoming essential to every woman’s jewelry collection. We have found one that the price is nearly unbeatable, yet the quality is fantastic. It is a horizontal bar made of stainless steel that comes in five colors. You can get this great necklace in black (with a silver chain), blue, rose golden, golden, and stainless steel. And speaking of steel, we can’t get over what a steal of a deal this is! Seriously. The pendant on this dainty piece is 7 millimeters by 40 millimeters and the chain is about 40 centimeters. For those of you wondering what those measurements mean, let’s be honest, that’s what I was trying to calculate, the bar is just over a quarter inch wide and just over an inch and a half long. The chain is just about 16 inches long. With those measurements, this necklace would be the perfect dainty statement piece, or it would also blend in beautifully with another one or two layering necklaces. Add a touch of personality with your name, your significant other’s name, your dog’s name, or even your nickname printed on it. The black printing is typed in a script font that is sleek and easy to read. For this price, you will truly be wanting to order them for every single one of your friends! The next personalized name piece that we think you will love comes with a plethora of options that make it so much fun to customize to fit your personality! To begin, this lovely piece comes in 16k Gold, Silver, or Rosegold Plated. The bar itself is approximately 36 millimeters by 7 millimeters. The chain matches the color of the pendant and is approximately 17.5 inches. The bar is rectangle shaped with ever so slightly rounded edges. This necklace is simple to take care of. It is best to store it individually or wrap it in a soft cloth to avoid scratches. You can also take precautions, like avoiding spraying hairspray or perfume on it. We understand that some days that’s easier to be aware of than others, so if you get busy or just forget, make sure to wipe it off with a soft cloth or cotton ball at the end of the day. Doing this would be beneficial no matter what because it helps prevent dirt and dust from everyday wear from getting caked on your necklace. This will ensure that you get the longest life out of it. The next exciting way to customizeit is to choose what the hand stamped bar will say. You can put whatever you’d like on it, but we love the idea of making it all about you! Put your name, the special name your dad started calling you as a baby and it has totally stuck, or your favorite nickname your best friend calls you. If you are wanting even more than that, go for it! Put your initials or your significant other’s name beside yours. It is really all up to you! Also, don’t hesitate to request your anniversary or another date that is momentous to you, because they offer letters A to Z and numbers 1 through 9. Moving on to that dainty heart, we absolutely love how personal you can get here. Some ideas that they suggest are wings, a star, a heart that is drawn which gives your standard heart a little more flair. But that’s not all! Are you looking for a health condition, diet specific, or medical treatment specific necklace? No more bracelet or badge, wear it with confidence and pride and add the US Ambulance symbol to keep you safe in case of an emergency. This piece is everything, a classic staple and as personal as your mind can imagine, not to mention it all comes at a stellar price. What more could you want? We all know that our name is unique to each of us, but what else particularly stands out or separates a person that is their own? Maybe it’s your hair color, your eye color, or what year you graduated high school. But even more personal than that is your birthday. That’s where we are headed with this necklace, and we absolutely adore it! The simple bar is complemented with your printed name and your birthstone. How cute is that? It comes in three colors. 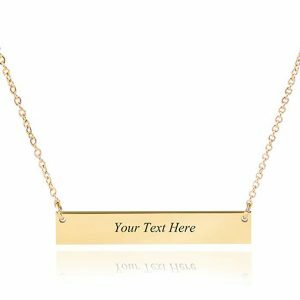 The silver and gold plated are both accented with black writing, while the black necklace flaunts white lettering. 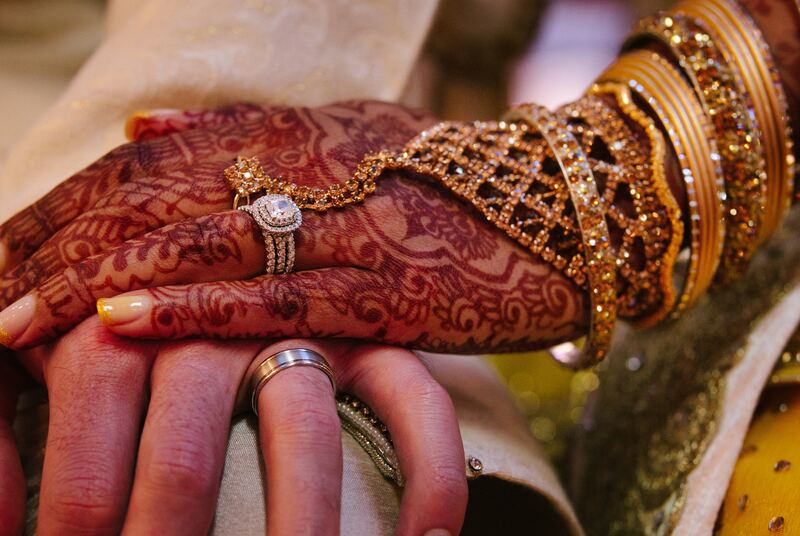 Regardless of the color you choose, you get to customize it with one name and one stone. This is a fantastic way to wear something that represents you perfectly or give to someone you adore because they would be thrilled to receive this as a gift. Even better for you, it comes with a price tag that will not make you shiver when purchasing a few for Birthdays or Mother’s Day. The piece is made of high-quality stainless steel. The link chain is nearly 18 inches and a 2-inch chain extender is included in your order. The pendant is 1 ⅜ inches long and ⅛ inch wide. Now we assume that if you are ordering this for yourself, you already know what your birthstone is. But if you are wondering, whether it be for you or for a friend, let’s talk about birthstones. They are as follows: January is Garnet (a deep red), February is Amethyst (a pretty purple), March is Aquamarine, April is Crystal, May is Emerald, June is Alexandrite, July is Ruby, August is Peridot (a lighter green than the emerald, September is Sapphire, October is Rose, November is Citrine (an orange-yellow color), and December is Blue Zircon. Now I know you may have heard other specific gems for a few of the months, but overall they are ultimately the same color or very close to. So there you have it. You are no a professional in the birthstone department, go buy a darling new piece of jewelry for you and your bestie! Next in the lineup, in no particular order, because we are seriously in love with each of these necklaces, we have this darling charm and birthstone necklace. We admire that this look takes a turn from the standard name piece, displaying the name charm vertically instead of horizontally. The chain comes in three types: ball chain, box chain, or cable chain. The chain and pendant are sterling silver with a Swarovski birthstone. You can choose between each chain measuring 16, 18, 20, 22, and 24 inches long. 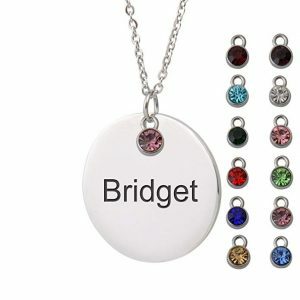 Personalize it with your own name and birthstone, or perhaps your husband or child’s name and birthstone. This would also be a great gift for Valentines Day, shoulder shrug that significant other of yours, Mother’s Day, or a Birthday present for your sister or girlfriend. One thing to note is that this piece is darling and dainty. It is not a bold or large piece, but small and sweet. 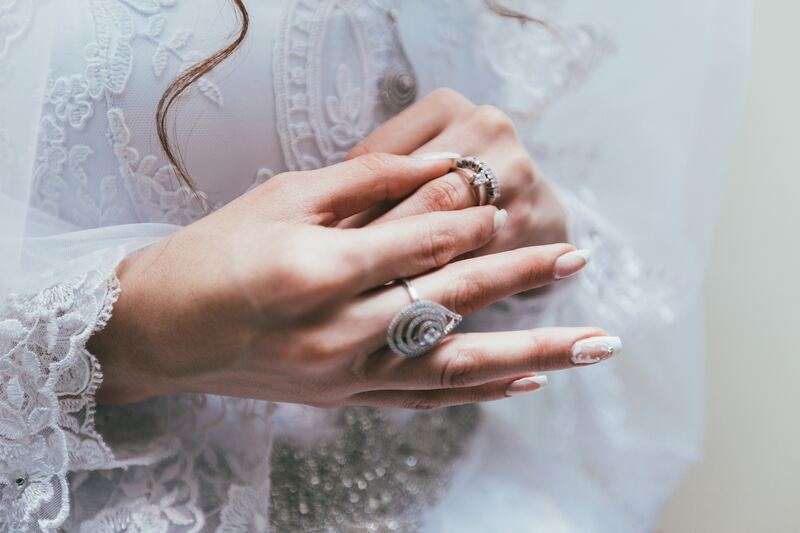 If you experience any sort of error in the name or birthstone, they are great to work with and take the necessary steps to ensure your satisfaction. Your eyes will light up when you see this piece in person, whether you are getting it for yourself or watching a friend as she unties the ribbon and opens the gift box to reveal the beautiful necklace inside. This is sure to please! Hello creative! We love this piece for breaking out of the norm of the bar or script name, while still allowing you to get something that is adorable. This necklace is made of stainless steel and is safe for sensitive skin. The chain is 18 inches long and in addition, there is a 2-inch chain extender included. You can customize it with your name or even with a short message that brings joy to your life. The darling circle charm comes in two sizes, 16 inches or 25 inches. This allows you to fit this item to your style, whether that be simple or bold. We also love that this necklace features a variety of options more than just your name and birthstone. You can also order it with both charms included. That way if you are stuck between writing your name or a short message, maybe your child’s name and their birthday, or your husband’s name and your anniversary, you can do both! 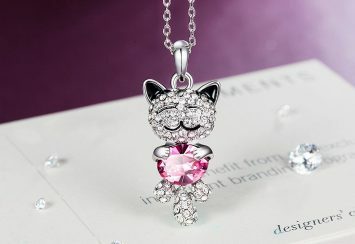 Customize it to have your one engraved on the small charm and one on the large charm. How darling is that? And above all, this necklace is so inexpensive, you may find yourself wanting all the variations your mind is trying to choose between! The definition of dainty is: delicately small and pretty. In other words: this piece. This unique version of the typical name necklace includes three charms. The customized discs are hand finished with a sterling silver heart. Each charm is smaller than the size of a quarter and despite it’s size, it is sure to catch the eye of the person walking next to you. 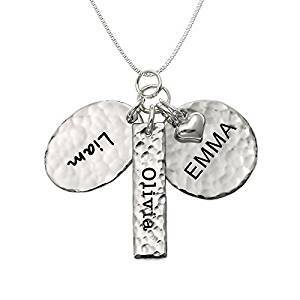 This is the perfect jewelry gift idea for Mother’s day with her kids’ names, maybe even Grandma’s birthday with three generations of names, or your ideal Christmas gift with your name and two people you hold dearest to your heart. The possibilities are endless, and so beautifully crafted in a way that will ensure that this necklace carries special meaning to you now and for generations to come. Along with the choices in names on the charms, you are able to choose your favorite chain between a box chain, cable chain, and ball chain. These all come in sizes 16 through 24 inches. This necklace is budget-friendly, in a more moderately priced range. 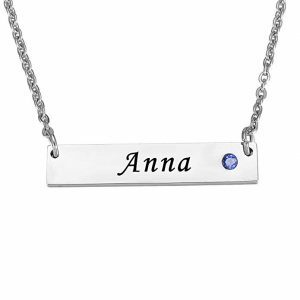 This is such a beautiful option to be able to get more creative and add even more meaning to your special name necklace. 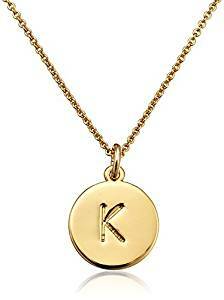 Last, but definitely not least, is this gorgeous Kate Spade New York gold-tone alphabet pendant piece. Can we all just pause for a minute and admire how gorgeous and spectacular it is? This one comes at a higher price, but you can be sure that you are paying for quality that will last. The brass charm measures 7 by 5.4 by 1 inches. It is lightweight and comes on a dazzling cable chain. 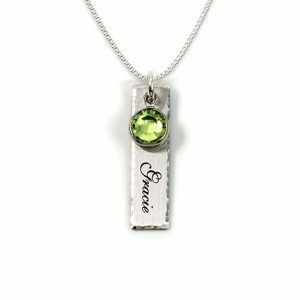 Your initial of choice will be featured on the front, while the statement “One In A Million” is engraved on each necklace on the back. Is your heart melting yet? Mine is! This is an absolutely timeless piece. Not only can you buy it for any age, but you will want to wear it throughout the years. 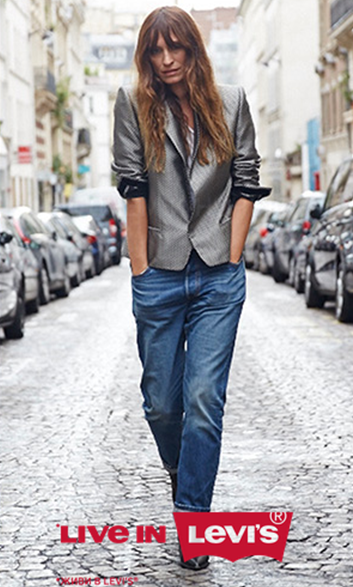 We love how easy it is to wear casually with your messy bun, jeans, and t-shirt. Likewise, it is the perfect transition piece to that little black dress you’ll be wearing next weekend. Pieces like that always draw us in! Do you like recieving compliments? If not, you may want to run away from this piece. But if so, like I’m guessing most of us do somewhere in that heart and mind, you will want this necklace. You are gauranteed to be noticed and cause a few double takes when you wear this stunning piece. Because this piece is a little more expensive, you will want to make sure to take extra special care of it to ensure that it will last over time. Take precations and be proactive to keep it clean by doing thing like avoiding to wear it when you shower or go swimming. It is also a good idea to clean it at nights after you have worn it, even just by simply wiping it off with a cotton swab. If you are looking for something meaningful and unique, dainty and classy, you will love this fantastic piece of jewelry. We hope you loved our ten name necklace round up as much as we do. Did you know that over 300,000 thousand babies are born each day in the world? Whether it be from that very moment or days or weeks later, each of them will be given a name. That means about three hundred thousand humans are receiving names every single day. That may seem pretty broad, so why does that matter to you? You were one of those three hundred thousand at one point. Whether it was fifteen years ago, fifty years ago, or even ninety-five years ago, at one point you needed a name! Now here you are and that name has become a part of you. It is literally who you are. Often times it is the first thing you tell somebody when you meet them, it’s frequently how you identify yourself when you order a meal at your favorite restaurant, and most importantly, it’s you! People are given names for all different reasons. Sometimes it’s a family name that is used from one generation to the next, often it’s a name that your parents really loved before you were even born, and other times it is completely random and different. Each of us has a story to tell and one thing that makes it completely unique is our name. What does your name mean to you? Is there a story behind it or did you “just look like a Bethany”? Regardless, it is special to you and that should mean something to each of us! We have been loving the trend of name necklaces in recent years, and the good news is, it’s not going anywhere! They are here to stay and they continue to get cuter and more creative. 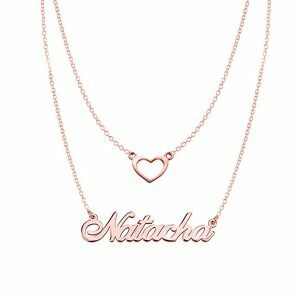 More options and variations are constantly being created and no matter what your budget is, there is a name necklace out there that is perfect for you! That’s right, I’m talking to you Meghan, Catelyn, and Jessika. No matter how unique or creative your name is, or the spelling of your usually standard name, you can have any necklace that you want! These necklaces are that perfect staple that you can confidently pair with any outfit to add character and truly represent you. Because nothing is more special than you.